The Orlando International Airport is a tri-level complex with 4 Airside facilities. To access the airport you can select either Terminal A or Terminal B side. The roads around the airport are in a continuous loop so that if a destination is passed, you do not need to leave the airport property to circle back to where you need to be. 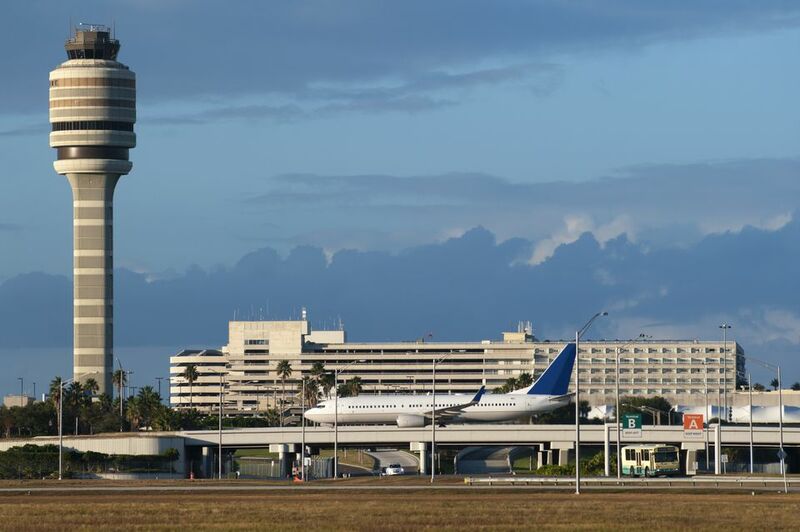 One might think that the initials of OIA might be the airport code for the Orlando International Airport, but that is not the case. The airport which was taken over by the Greater Orlando Aviation Authority in 1975 was given the name Orlando International Airport in 1976. The airport which was originally an air force base ​was named McCoy Air Force Base with an airport code of MCO. The airport is located about 9 miles southeast of the Downtown Orlando area. Approximately 9 miles: Take I-4 West to SR 408 (East-West Expressway) head East to SR 436 south. Approximately 20 miles: Take I-4 East to SR 528 (Beach Line) head East to the Orlando International Airport Exit 11. Approximately 42 miles: Take I-95 to SR 528 (Beach Line) head West to the Orlando International Airport Exit 11.